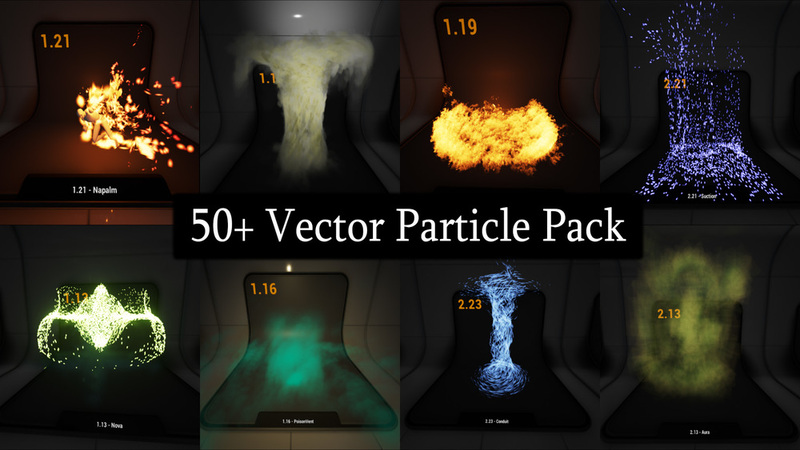 50+ Particles using custom Vector Fields and a Demo room on how to apply them. 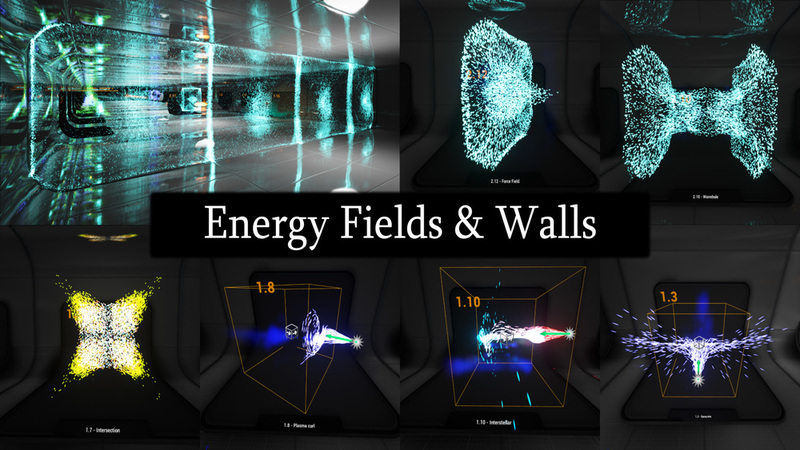 You get 50+ particles using Vector Fields. All of the particles can be re-purposed for a range of uses. The included demo room is a great place for learning on how to apply Vector fields in new ways. Designed using Maya 2015 fluid dynamics for my project Abatron, this set of vector fields is what every FX library needs! Buy these and build up your FX library today to create new effects tomorrow! Now, you can obtain this library without messing with Maya or Houdini. Step 1: Open the VectorField module inside of Cascade and turn on "B3DDrawmode" under the Cascade catergory, so you can visualize the vector field container. It also helps to click on the Cascade viewport and turn off "Post Process" which turns off the bloom highlights. Step 2: Keep track on how the "Container box" is positioned to the particle system. You will need to be in the same relationship when you scale. I hope that helps, I know that scaling particles systems in general isn't straight forward. If you try to scale them with the world manipulator, it scales down the sprites mostly, but it doesn't account for all the module types. Step 1: You will need to open the particle system up inside of Cascade. I have chosen forcefield. Step 2: Click on the Initial Color Module from the Emitter. Step 6: Alternatively you can click on the "Cascade" drop down and click on the color swatch in the "Module Editor Color" dropdown. Step 7: This will open up the color picker so you can use the color wheel to find your specific color value. Step 8: After finding your color value copy it over to the "X Y Z" in the earlier steps.